In this post I’ll examine how the Government of my home state of South Australia is using Corporate Cultural Diplomacy (CCD) to advance its trade relationship with China, and why it serves as a good model that can be adopted by governments elsewhere. I’ll also explain how implementing CCD can create a cycle of positivity that makes CCD particularly beneficial for low-growth states. In this post I talk about a trade delegation that the SA Government currently has underway in China and as you read on you will see how it is indeed like a dance. The delegation and any increase in trade between Australia and China will benefit both countries, but for the purposes of this post I’ll be solely examining the benefits to SA of the trade mission and its use of CCD. SA has experienced low economic growth for many years now, and its population is largely despondent about any government initiatives that are announced to address the situation. Unfortunately, this despondency is accompanied by extreme negativity. The reasons for SA’s economic stagnation, such as a declining manufacturing industry and its ramifications, such as losing highly educated people abroad (the brain drain), are common amongst many low-growth states. Much of the debate that goes on in SA’s capital city of Adelaide is about the need for reducing emergency room waiting times and improving peak hour traffic circulation. The reality is though, if SA can’t bring in money from somewhere outside of the state, the populace is just recirculating money amongst themselves, in which case no growth is possible to fund improvements to their hospitals and public transport systems. In order to grow, SA needs to export more of its goods and services overseas and bring back more investment, students and tourists; that’s why the trade delegation to China that I write about here, with culture at its centre, is a promising step in the right direction. I like the new logo design. It’s functional and designed for the target market. Some stay-at-home South Aussies have whinged about the logo, but it wasn’t designed to appeal to them. The inviting door says: “You’re welcome to come to SA to invest, holiday or study”, and it also says “SA businesses are looking to expand abroad and are coming your way”, like the two-hundred or so South Australian business people that are in Shandong as part of the current trade delegation. Largely the logo is about building links between South Australia and Asia, hence the origami style folds and the choice of colouring; all the old “How to do business in China” books tell you to put red and some gold into your promo gear when seeking success in China. The South Australian Government and SA businesses understand that the future prosperity of the state depends on profitable trade relationships with our Asian neighbours, particularly China, and attracting investment from Asia to SA via Foreign Direct Investment (FDI), study or tourism. Many of the most popular posts here at wherewordsfailblog.com are about doing business in China. In The silent killer murdering international business ventures (this blog’s most read post) I quoted academics and business writers who point out that in China, building relationships is a pre-requisite for doing business and that the most common reason for failure is an inattention to cultural factors. In Business failures in China; an inability to connect at a cultural level I argue that the reasons why many companies fail in China is because they can’t connect at a cultural level with their intended market or partners. In many posts I argue that Corporate Cultural Diplomacy (CCD) provides the tools needed to make these important connections, and CCD; how it works in practice explains this and provides some examples. I recently wrote about an outstanding CCD initiative from Western Australia in Beijing and Perth orchestras put Corporate Cultural Diplomacy into action. 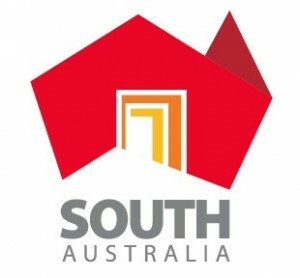 But being from South Australia myself, it’s been great to see the new more outward looking SA branding and to read about the large trade delegation from SA that is currently in China and the CCD initiatives accompanying it. 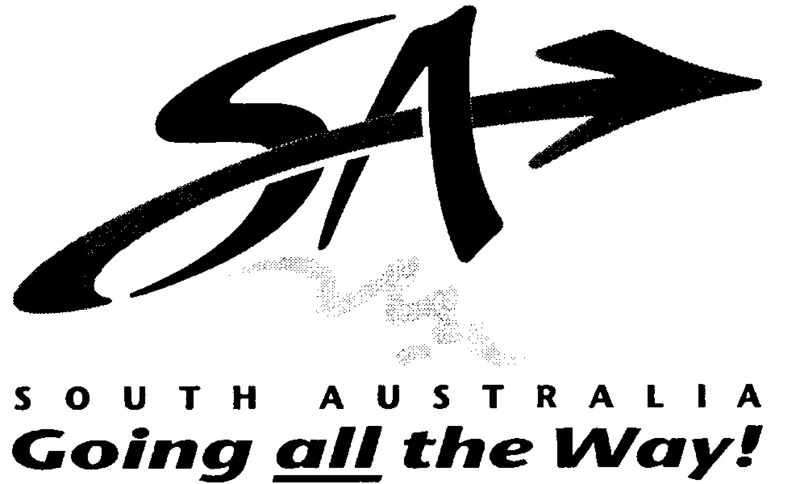 South Australia has come a long way since this unfortunate piece of state branding! Years of fostering cultural relationships will help the more than 250 delegates looking to do business with their 500 counterparts in South Australia’s sister province of Shandong. There are a large number of impressive features about the delegation, most notably its sheer size, and the high-level stature of the delegates, including the Premier. The seniority of the delegation and the planned reciprocal arrangements, important aspects in Chinese business culture, are likely to be well received. But perhaps most impressive is how SA has put culture, and Corporate Cultural Diplomacy (CCD) at the heart of the delegation and relationship between Shandong and South Australia. China will not do business with countries that don’t also offer both cultural and political relationships. To underpin the importance of arts and culture in the relationship, more than 10 heads of South Australian cultural institutions are visiting Jinan and Qingdao this week. “While many countries and states try and forge purely economic relationships with China, the only way to properly engage was to also have strong cultural ties”. “The Shandong and South Australian governments supported over 140 artists to travel to Adelaide to stage a number of exhibitions, workshops and have the Qingdao Song and Dance Theatre perform Red Sorghum and the Shandong Acrobatic Troupe stage Dream of a Ghost Story. 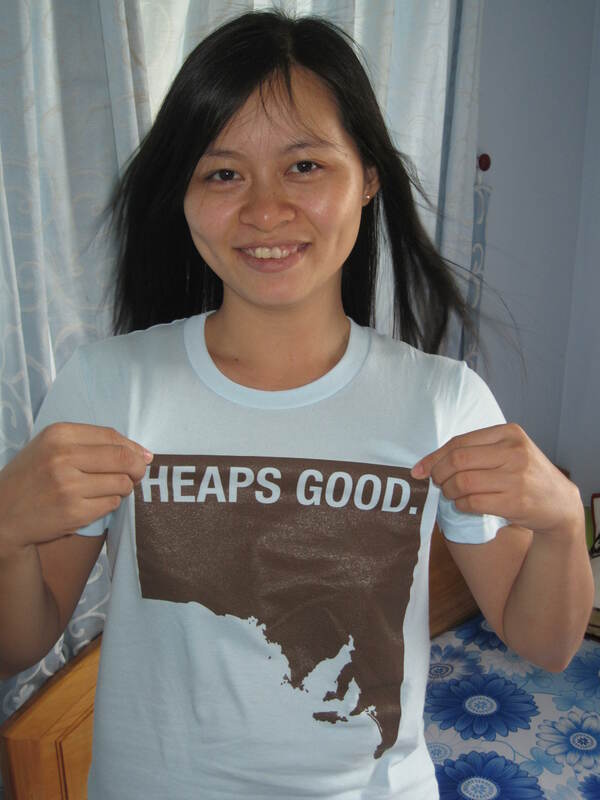 “No other state in Australia has a relationship as deep as ours in China”. Gautier said China’s Deputy Minister of Culture had told him last year that ‘special relationships are based on politics, trade and culture’ and that China would not trade with anyone that did not combine the three. Speaking to the ABC from Beijing, (Premier of South Australia) Mr Weatherill said about 20 agreements, including letters of intent or memoranda of understanding, had already been signed. He further claimed that “very substantial commercial agreements” had already been reached but commercial partners would talk about them in due course. “I know the companies that have come here are very excited about what they’ve been able to achieve today, but more importantly, what they expect to achieve in coming months,” Mr Weatherill said. Mr Weatherill said SA industries that could be grown through China include mining and resources, renewable energy, food, agribusiness, health industries, tourism and education. Each year, thousands of books of all descriptions are released by Australian publishers, and these books are a part of Australia’s cultural output which also includes, among other items, music, film, TV and live music, theatre or dance performances, which when combined is an industry that also has significant scope for large profit making in Asia. As the price of commodities in international markets continues to fall and Australia’s trade deficit increases, it’s clear that Australia needs to diversify the goods and services that it sells to the world. Australian cultural products are export-ready goods that are being wasted by sitting solely on Australian shelves or being sold almost exclusively to our traditional European and North American trading partners; demand for cultural goods is high in Asia and it’s market is cherry ripe for picking. Our cultural products are equal or better than any other nation’s and shouldn’t be taking such a back seat; it’s time to capitalise. Ensuring Australian cultural goods are common in the stores and on the bookshelves, radios, screens and stages throughout Asia will not only help us address our trade imbalances, but enable us to start rebuilding our social capital which is the basis for good relationships, trust, and ultimately, influence. With Free Trade Agreements ready to go and copy right concerns becoming less of a concern, the barriers against Australian businesses operating in Asia are crumbling, as are the excuses for not fully participating in the Asian Century. What happens when South Australian artists, musicians, performers and writers get more exposure internationally? They sell more product, they have more secure employment, they have to increase their skills to compete at an international level, they collaborate internationally and foster people-to-people links and they become a walking-talking-singing and dancing advertisement for Australia and the positive ideas it wants to bring to the world. As Indigenous arts and performances are particularly popular overseas, money and acclaim earned abroad by Aboriginal cultural practitioners will both financially benefit and inspire Indigenous communities. And what happens when these artists come home? The arts scene becomes more vibrant, making the state more attractive for investment and tourism whilst helping to reduce the ‘brain-drain’. Strong arts scenes help build innovative and creative business environments; the effect of the San Francisco arts scene on Silicon Valley is a prime example. CCD has many spin-off effects and multiplying benefits and creates a cycle of positivity. South Australia will only be able to achieve higher growth through trade and FDI. Often, one of the main problems affecting low-growth states is a lack of positivity, which has many negative side effects, such as reducing the willingness of businesses to take the risks required to achieve financial growth and making it difficult for companies to attract and keep high quality staff. The cycle of positivity derived from using CCD abroad can help to counter this negativity and makes CCD a sensible approach for low-growth states to take. The South Australian model for using Corporate Cultural Diplomacy to advance international trade is a good one that other nations or states should consider using. Disclaimer: Grant Hall is a former Anthony Steel Fellow of the Adelaide Festival Centre and has held positions within the South Australian Government (Department of Premier and Cabinet / Education Department / Department of Technical and Further Education). League Cultural Diplomacy is an international event management and consulting firm that specialises in Corporate Cultural Diplomacy. Read all of wherewordsfailblog.com’s posts about Corporate Cultural Diplomacy here.